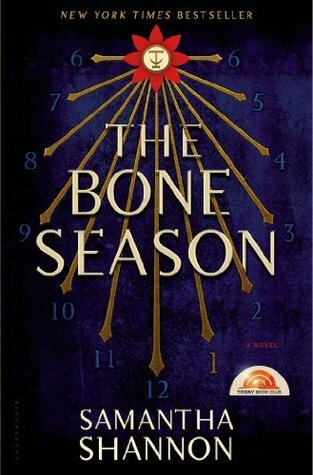 The Bone Season was the ‘it’ book of 2013. Shannon an unknown author got a seven book book deal and movie rights were sold even before The Bone Season was published. I managed to obtain an ARC of the book but a seven book series from an unknown author? I wasn’t really interested. Cut to me randomly walking by the audio books in the library and seeing The Bone Season and thinking why not? I’m very much on the fence about The Bone Season. At times I thought it was bloody genius and at other times I thought it was convoluted. I’m not sure if that is because I was listening to the book and not reading it but others have expressed the same concern. BEST / Worse book, BEST / Worse book, BEST / Worse book, BEST / Worse book, BEST / Worse book, BEST / Worse book, BEST / Worse book…hope Shannon knows what she is doing for the next 6 books. It’s kinda like Doctor Who in the sense that there is a lot of stuff going on and at times you have no clue what is happening or if they are even speaking English but it’s like nothing else you have ever seen so you go with it cuz in the end you had a great time. Yeah, The Bone Season is kinda like that. I’m not even sure I can describe the book but it draws together some familiar concepts – everything from clairvoyance, otherworldly races and the imagined dystopian nature of futuristic society – and weaves them into an inventive and richly crafted story. Paige Mahoney, our heroine, works in the criminal underworld of Scion London, part of a secret cell known as the Seven Seals. The work she does is unusual: scouting for information by breaking into others’ minds. Paige is a dreamwalker, a rare kind of clairvoyant, and in this world, the voyants commit treason simply by breathing. Attached, kidnapped, and drugged, Paige’s life is changed forever when she is transported to Oxford – a city kept secret for two hundred years. It is governed by an otherworldly race called the Rephaim who seek to control the clairvoyants for their own purposes. I don’t want to say anything else because I don’t want to spoil the fun but I am definitely looking forward to the second book and I liked The Bone Season enough to read the second book. This entry was posted in Dystopian, Fantasy, Paranormal and tagged clairvoyance, dystopian, Paige Mahoney, Samantha Shannon, Scion, The Bone Season. Bookmark the permalink.